A soft and beautiful floral arrangement in subtle shades of pastel pinks and creams. 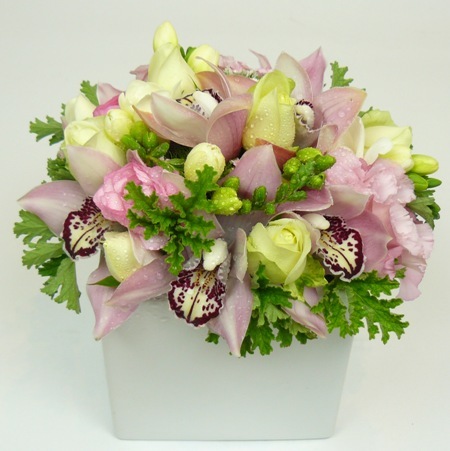 This is an ideal gift to send for bereavement as an expression of your sympathy. Your PickMe gift is wrapped in lush organza and cradled in white tissue inside our signature pickMe carry bag. We then complete your order with a gift card and trimmed with ribbon making the perfect gift delivery!